New York Yankees superstar third baseman Alex Rodriguez wore these Nike Diamond Elite batting gloves on May 17th, 2011 during the Yankees 6-2 victory over the Tampa Bay Rays at Tropicana Field. Rodriguez socked two home runs in this game, taking Rays starter James Shields deep to left-center in the fourth inning and to straight away center in the sixth frame. 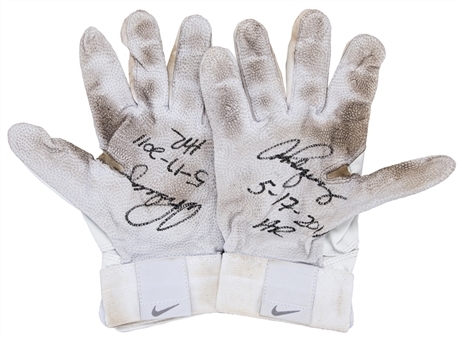 These were the 620th and 621st home runs in Rodriguez’s legendary career, helping the former Mariner and Ranger in his quest to reach Willie Mays’ career total of 660 longballs. Rodriguez made his 14th career All-Star team in 2011, finishing the year with a Triple Crown slash line of .276/16/62 in 99 games. 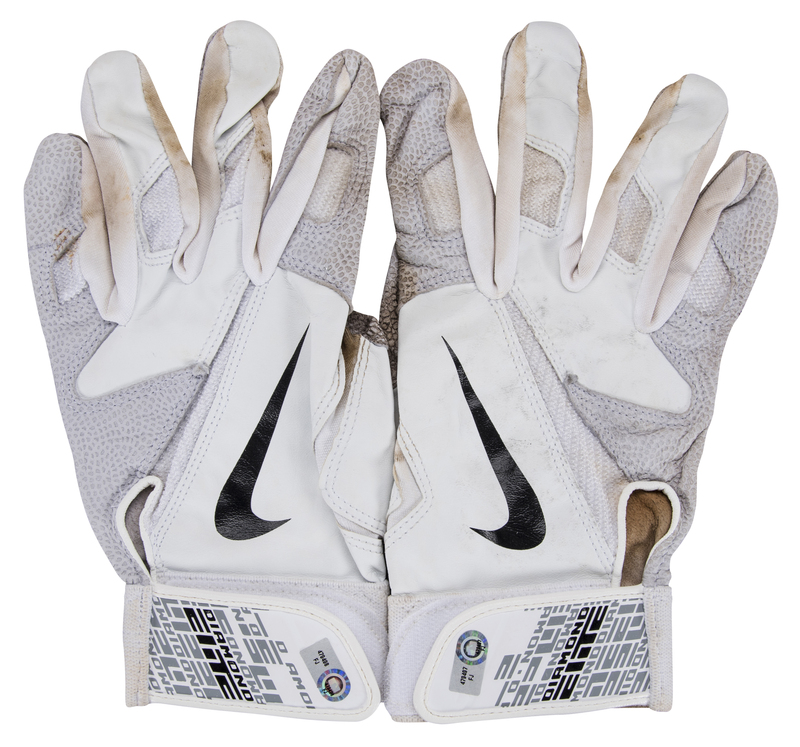 These offered batting gloves are white and gray, with a black Nike swoosh applied to the top of each hand. 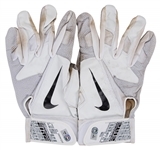 The wrist straps feature Nike Diamond Elite branding and a Nike swoosh tag is sewn on the underside of each wrist. 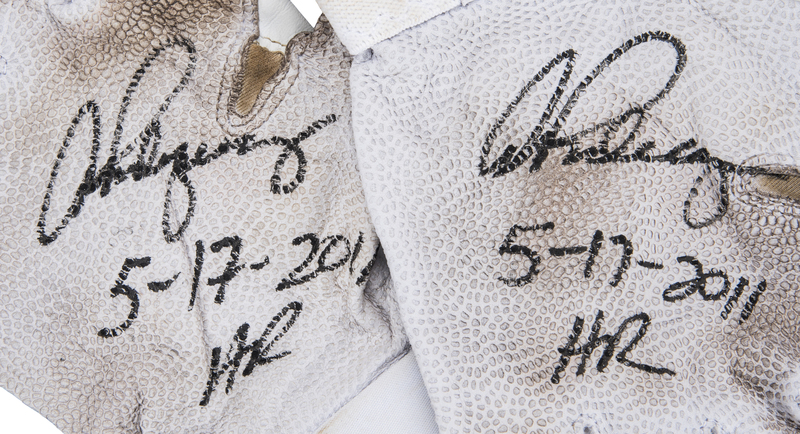 Rodriguez has signed the palm of each glove in black marker, inscribing “5-17-2011 HR” in addition to each signature. 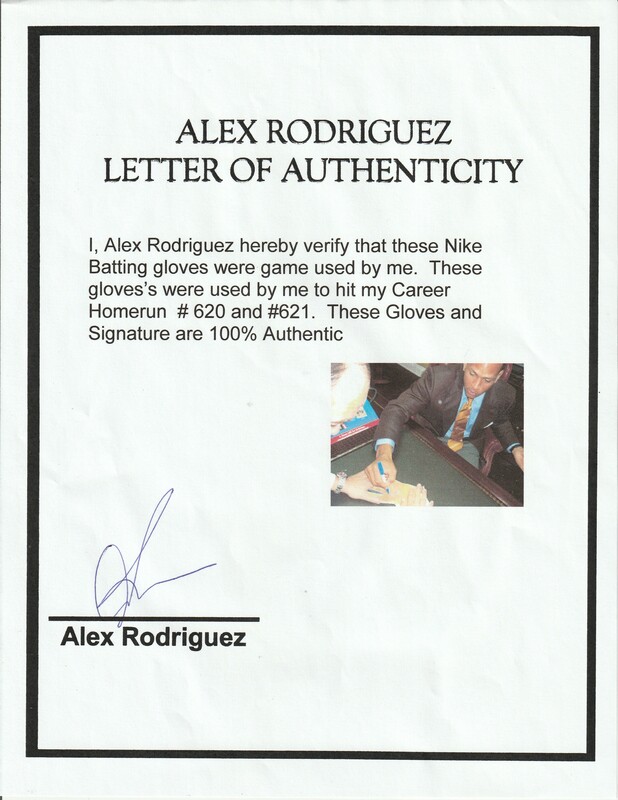 These gloves come with MLB Authenticated holograms (FJ 479497, FJ 479498) and a LOA signed by Alex Rodriguez himself.